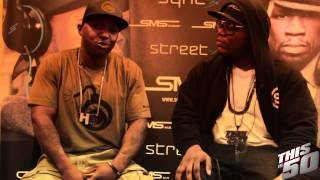 Thisis50 & Young Jack Thriller recently spoke with Lil' Cease for an exclusive interview. Check out part 1 where he breaks down the day when Tupac was shot and beef he and Biggie had with him. Jun 06, 2012 · 44 comments for "Lil' Cease Breaks Down When Tupac Was Shot & Past Beef He & Biggie Had With Him"
Thisis50 Interview With Ice-T "50 Cent Is The Last Gangsta Rapper"
Prodigy Says People Think He Is Soft & Talks Tupac Beef "I Wanted To Kill That N*gga"